The final battle approaches, and the chosen defenders of the Brine must continue their secret mission into Dark Reef Prison to eradicate the fiendish Siltbreaker once and for all. 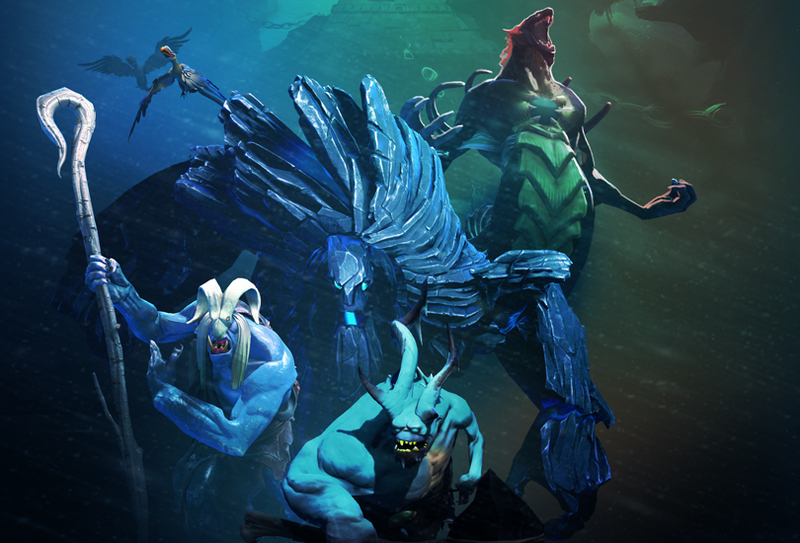 Battle Pass owners are once again invited to undertake a journey that spans vast domains, where fearsome creatures and monstrous hordes lurk in every shadow, as the first Dota 2 Multiplayer Campaign concludes with today’s release of Siltbreaker: Act II. To accompany this release, we’ve added an Adventure Mode to Acts I & II that allows for a more casual playstyle. Adventure Mode playthroughs won’t garner any Artifacts, achievements, or rewards, but the decreased difficulty and removal of any non-quest goals will let players explore the dangerous world of Siltbreaker without any additional pressure. We’ve also introduced changes to the Artifact system for both acts that will help ensure more players can discover these objects of power and factor them into tactical decisions as they play. Players who collected Artifacts in Act I are welcome to utilize them in Act II, and vice versa, but there are some important differences with the new system. Check out today’s patch notes for more information. As you fight your way to a showdown with Siltbreaker, you’ll earn completion stars based on your performance level. The first time you complete a zone with one or two stars will net you Battle Points rewards, and delivering a three-star zone performance will grant a treasure from the aquatic terror himself. Each Siltbreaker Treasure includes a chance to receive an indescribably-rare Immortal Desert Sands Baby Roshan courier, and Battle Pass owners with Battle Level 165 or higher will receive double the treasures for each three-star zone they complete with the reward bonus active. You’ll also have the opportunity to unlock new Act II achievements for even more Battle Points. Can you find Siltbreaker and end this dire threat before he makes his escape? Party up with three friends or queue-met allies to find out. The safety of the free seas hangs in the balance, and—should you fail—the drylands might be next.